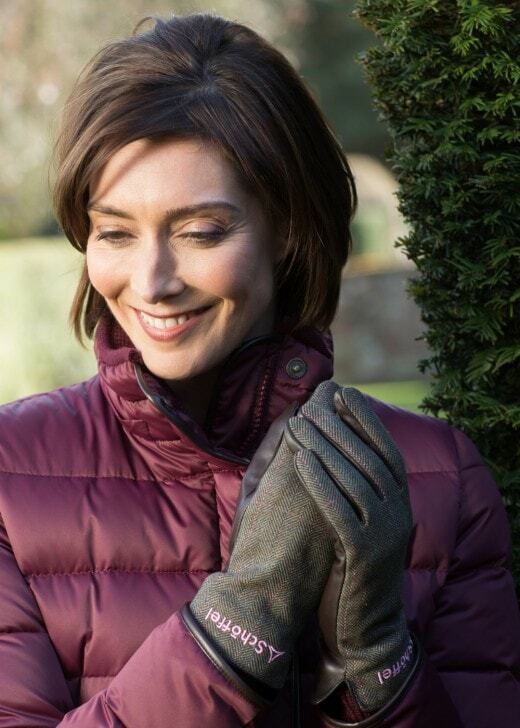 A smart, everyday accessory, the Ladies Tweed Glove by Schoffel offers the elegance of the field with its 100% British Milled Tweed whilst sporting a cowhide leather palm. A smart, everyday accessory, the Ladies Tweed Glove by Schoffel offers the elegance of the field with its 100% British Milled Tweed whilst sporting a cowhide leather palm. The button side adjustment allows comforting wear & the lambswool texture ensures your hands stay toasty warm throughout the colder days.